I just had my LCD and not working with my PCI3000+. It displays "LED VU METER" only. It nothing happens. Over a wire connector should be connected to the power supply? It is off the display connector. Are you using LCD from old pcimax 2007 or new lcd for pcimax 3000? 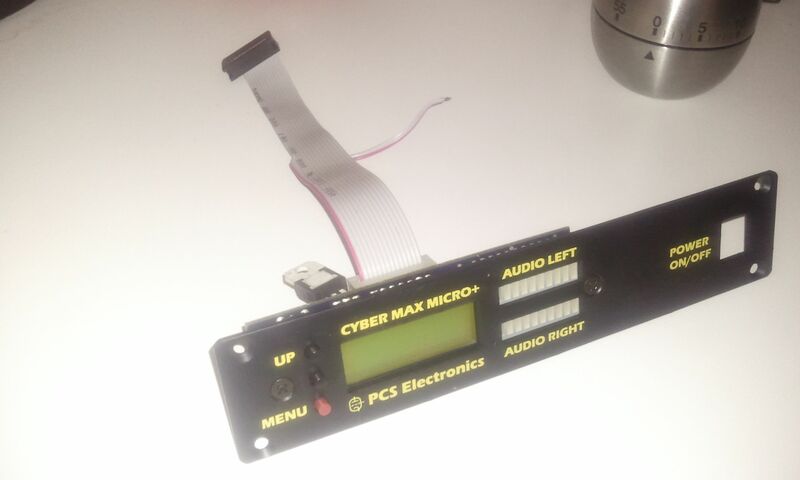 the new lcd for pci max 3000. it displays "cybermax" and "LED VU METER". It stops after that. And why the power cable connector is separated from the LCD ? It must be welded somewhere ? I weld on the 9 V to power the LCD otherwise it does not work. It is possible that the LCD is broken, does the card work in the PC? so it is better to connect LCD directly to 12V. yes, the card works perfectly, settings power, frequency, temp, version, RDS data it's ok with USB to pc. All is ok, not the LCD. So back to my problem, it is possible that it is broken but why? It is new and out of the package. What can I do? You return it? What address? Yes, we should add some stuff to the manual, I agree. it's normal that the pin 25 (SCL) of μC card max3000, I have a resistance of only 14 ohms, or it is grounded ? I have zero resistance between the ground and the pin 26 (SDA). Without the max 3000, I ² C signal is generated by the LCD, however, the clock is 0 initial, up to 5V correctly, while the initial data are 5V to down at 0 correctly too. Once the LCD plugged into the card MAX3000, the SDA signal is ok, and arrives at the μC on the card. BUT not the SCL signal, it is as directly connected to ground. In my opinion it can not work without clock signal. I question the μC my card or you've made a change between the LCD and card MAX3000 but suddenly, no longer compatible and the other one. 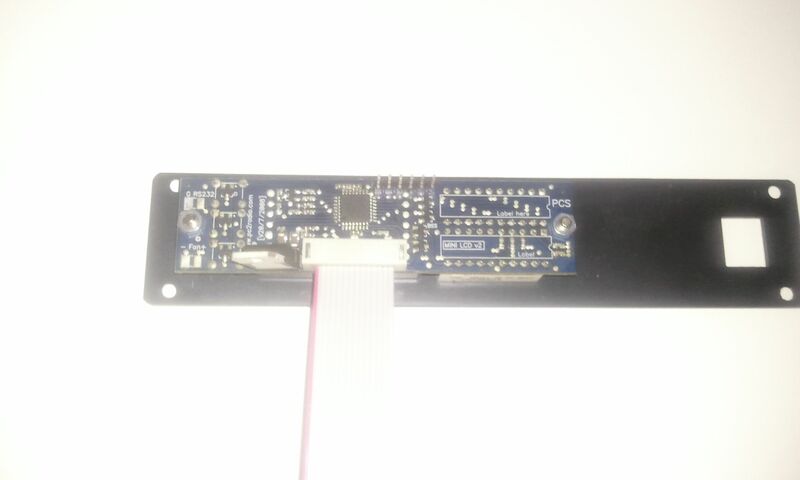 if you take a look of the back of the lcd module you will see, that there is another uC. Like Marko said, maybe it is best that you send it to checkup.